Learn about Harriet Jacobs's early life growing up and living in slavery, visiting the locales and examining the history within her book, Incidents in the Life of a Slave Girl. This guided walking tour starts at the Edenton State Historic Site Visitor Center and goes to St. Paul's Episcopal Church, the sites of Dr. Norcom's, Mr. Sawyer's and Jacobs's grandmother's homes. 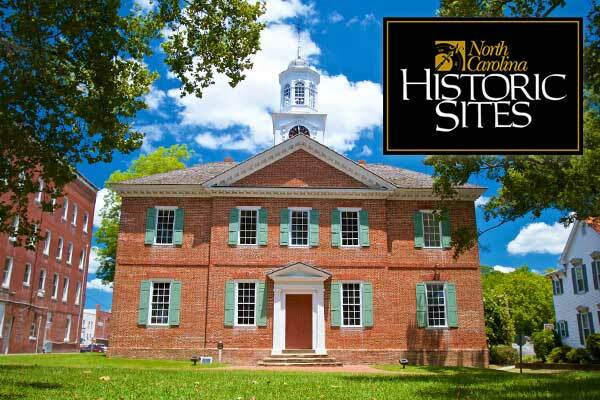 You'll next visit the 1767 Chowan County Courthouse and jail, then onto the Edenton Waterfront for a discussion of the Market House and Snaky Swamp where Jacobs's hid before boarding a ship to be smuggled North. There is also the option to complete this tour via golf cart.